Need a gift for dad? Navman has your back. Father's Day is around the corner and if you haven’t organised your dad a gift yet, it’s not too late to pick him up something that will show him you really care. Your dad has looked out for you all your life, now look out for him with a Navman dash cam, GPS or combination device. From sat-navs that will make every day driving easier or devices to help him explore and discover more, to dash cams that helps protect him from fraudulent accident claims, there is something for every dad. If your dad likes nothing more than spending quality time in the great outdoors, he must get hold of a Navman Drive Duo SUV. This device combines the finest sat-nav features with a dashcam and is the perfect companion for any camping and fishing trips, featuring over 123,000km of 4WD tracks and information on rest areas, petrol stations, and camping grounds. It also includes Lonely Planet Guides and the Zomato Restaurant Guide that has listings and reviews of dining options and pubs. The Drive Duo will even tell dad the speed limit of the road he is travelling on, and remind him to take a break if he has been travelling for over two hours. Premium Driver Alerts will also warn him of any sharp turns or steep inclines on the on the road ahead, while Roadside Assistance will ensure he has longitude and latitude coordinates in the event of a breakdown he can let rescue services know his exact location. The built-in dashcam is superior Full HD so he will have the great quality footage – whether for insurance purposes or to capture footage of his scenic drives. The Navman Drive Duo SUV also comes with lifetime monthly map updates and a one year warranty. RRP $479. Do you have dad or granddad that still hangs on to his paper map book? Help him make the transition with this affordable GPS that’s easy and practical to use. The EZY450LMT has been designed with a simplified menu screen with fewer and larger icons making it a breeze to navigate through, while Landmark Guidance make directions clearer to follow by using objects such as petrol stations, traffic lights, and churches to help guide drivers. He’ll love the up to date superior safety features such as spoken safety alerts that will actually tell dad there is a school zone or speed camera ahead, which no map book can tell him about. If English isn’t papa or granddad’s first language then this is the GPS for them - it comes with several pre-loaded languages such as Chinese, Italian, Greek, Turkish and Japanese. The EZY450LMT also has 3D junction views and lane guidance to ensure he doesn’t miss any important turn-offs. Other handy features include tunnel simulation, to ensure a GPS signal isn’t lost when travelling in the tunnel, live traffic alerts to help him avoid any painful traffic jams, New Zealand maps and Bluetooth hand-free. 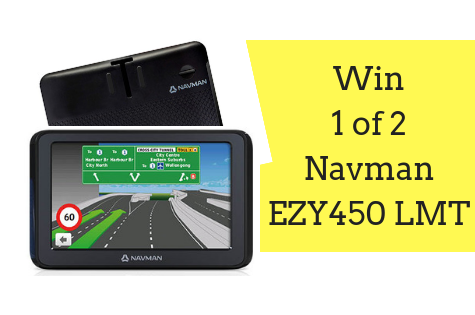 The Navman EZY450LMT comes with lifetime maps and a one year warranty. RRP $169. Your dad has always protected you and now you can return the favour by giving him a gift that will help protect him from false car accident claims. The MiVue790 WIFI is packed with premium dashcam features including Navman’s new EZYSHARE with WIFI that will instantly save or share his footage or event files straight to his mobile device via the free MiVUE Pro App, so he can upload video instantly - whether this is footage of beautiful drives or evidence following a crash. This clever device has a 2MP Sony Exmor Sensor with a 140°angle glass lens that produces clear and vibrant footage recorded in 1080 Full HD, as well as optimised Day and Night recording that ensures dad is always able to capture high-quality footage in even low light conditions. MiVUE790 has lifetime safety camera alerts to give dad up-to-date warnings of upcoming cameras. These visual and audible alerts will go off based on his driving speed. As well as recording rich footage this dashcam has highly Advance Driver Assistance Alerts (ADAS) safety features - it will remind dad to turn on his headlights at night and warn him if he is driving too close to the car in front, as well as if he is veering out of his lane. The MiVue 790 WIFI comes with a one year warranty and is available at all major electronics retailers. RRP $249. For more details, visit www.navman.com.au. I would love to own one of these. The dash cam is amazing! I must have the only car with no NAV. This would be great. Thank you very much for the opportunity, I’m shocking at directions, this would be very helpful. Father’s Day breakfast - Get the kids involved! What do fathers across Australia have in common? Did you thank Dad already?